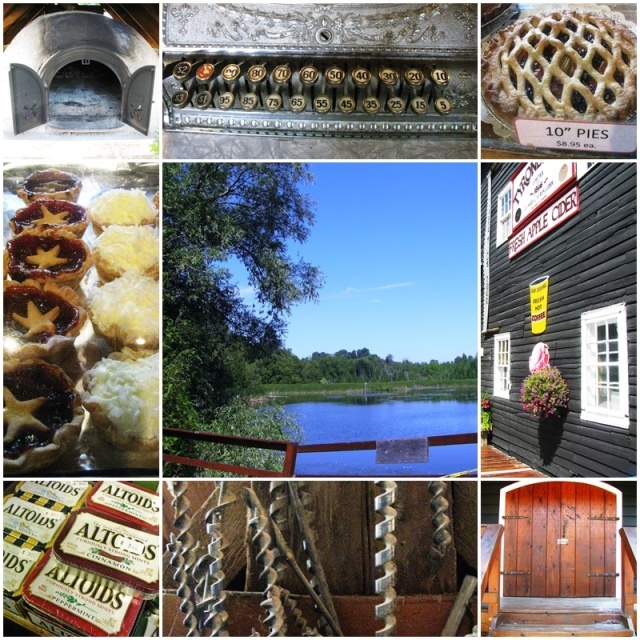 My explorations of the Clarington travel region on August 3, 2012 continued with a visit to Tyrone Mills, a saw mill and flour mill that has been in continuous operation since 1846. Even today, the mill still produces flour and runs its saw mill using the water power that stems from the picturesque mill pond behind the mill. The downstairs holds a country store that sells freshly baked goods, various types of home ground flours and cake mixes, and a wide range of other, mostly locally produced food products. Continuing my country tour through the Clarington region, I stopped at Archibald’s Orchards & Estate Winery and Cider House Golf where Fred and Sandy Archibald welcomed me to their family-run business. Their 40-acre farm has been in the family for four generations and has been transformed from an apple orchard whose products were sold to wholesalers to a pick-your-own operation that sells directly to consumers. 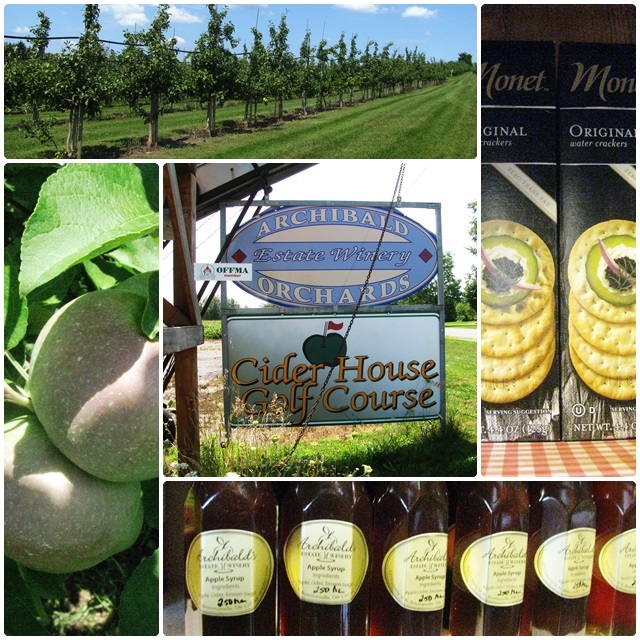 In addition to the orchard, Fred, Sandy and their daughters also produce a variety of apple products such as apple cider, apple pies and preserves while selling other local food and gift products in their attractive country store. 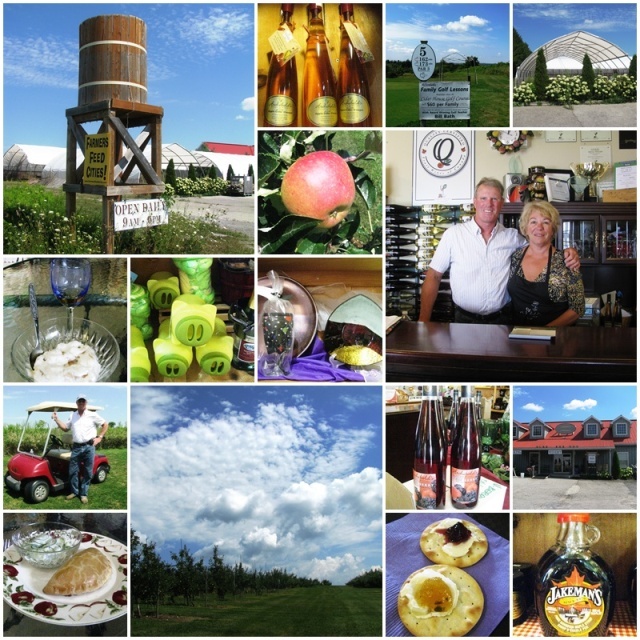 In 1997 they established a winery that specializes in fruit wines; everything from their own apples to black cherries and black currants from the Niagara Region are processed into ciders and fruit wines. Last but not least, the couple also operate a challenging 9-hole par 3 golf course that provides affordable golf in the picturesque environment of their apple orchards. Fred gave me a ride in a golf cart through the sunny south-facing property and I enjoyed the scenic views over the Oak Ridges Moraine. Then I received a cider and apple wine tasting and realized that my favourite was the bubbly Archibald’s Hard Cider, which tasted great when paired with some crackers topped with cream cheese and various fruit jams. Sandy served us a savoury Cornish pasty for lunch, followed by a “Yopie”, an apple pie mixed with some fresh yoghurt, Fred’s own culinary creation. Fred and Sandy Archibald not only provide delicious food products and fruit wines, they also make all visitors feel really welcome with their friendly hospitality and free samples. I was thinking that it would be great to head back to visit the Archibalds in October when all the apples are ripe. That would be a great opportunity to try out their apple crisps. Next on my list of explorations around Clarington was a visit to the country village of Orono, a historic settlement with several interesting attractions. For more information and to plan your trip please visit Clarington Tourism.